Umbria, the green heart of Italy. 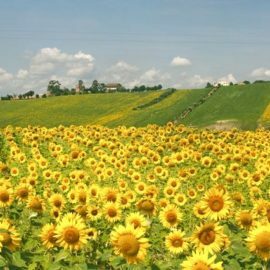 Umbria lies in the middle of the Italian ‘boot’ between Tuscany, Lazio and Le Marche. It is the only region that doesn’t have a coastline or share a border with another country. In fact, many people think of it as the green heart of Italy. 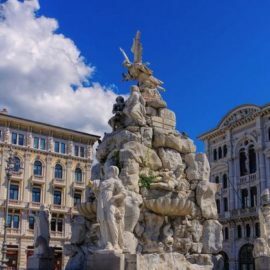 This is a region of lakes, forest and woodland covered mountains, medieval hilltop towns, ancient Etruscan and Roman remains, awe-inspiring art and fresco-filled famous churches, some dedicated to the region’s religious sons and daughters; think St Francis of Assisi, Saint Benedetto, Saint Clare. 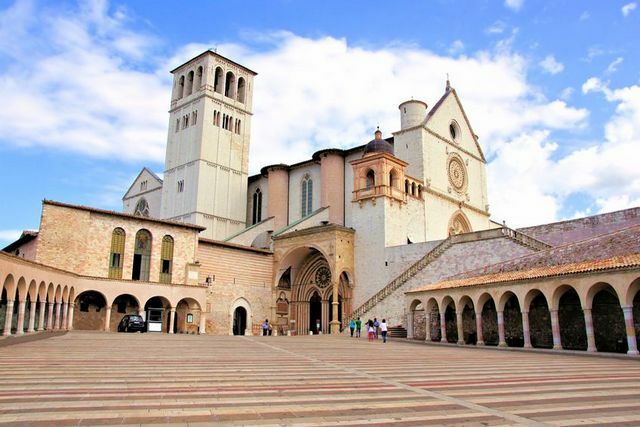 In fact, Umbria is also an important destination for pilgrims from all over the world. Umbrian cooking is very rustic and is rooted in the Italian ‘cucina povera’ (peasant cooking). 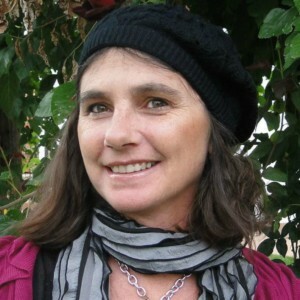 The cuisine is mostly based on traditional dishes created with simple fresh locally produced, foraged or farmed ingredients and recipes that have been handed down from generation to generation. Umbrian cuisine makes strong use of foraged ingredients . These include foraged mushrooms, such as porcini, wild asparagus, and the highly sought after truffles that grow throughout the region. Truffles play an important part in many dishes and are used in appetizers, pasta and risotto recipes and main courses. The region also produces cheeses and cured meats seasoned with truffles! 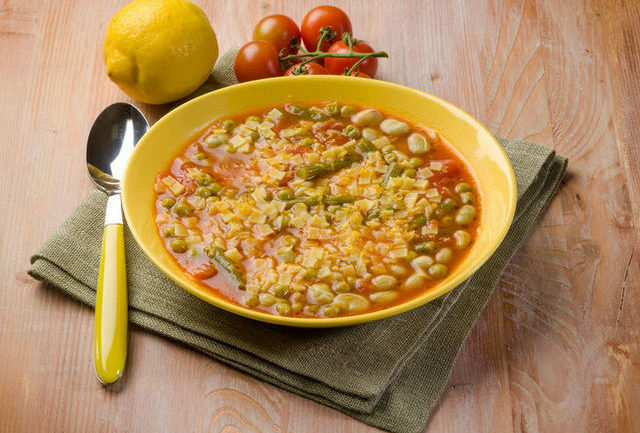 Since it is the only region without a coastline, Umbria is obviously not very well known for its seafood dishes. 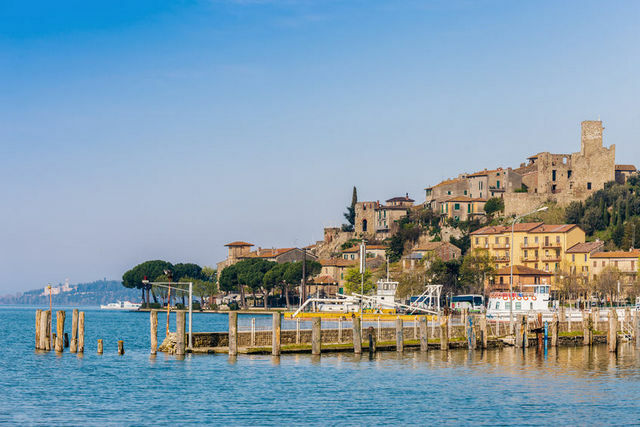 However, the regional lakes, particularly Lake Trasimeno, teem with a variety of fresh water fish such as carp, trout, mullet, pike, and perch. The main fish specialty of Lake Trasimeno is ‘Regina in Porchetta’. This is carp cooked in a wood oven in the same way as la Porchetta (suckling pig) . Meat plays a large part in Umbrian cuisine. Lamb, pork, and game, either grilled over the fire or cooked on the spit with herbs are the most traditional meat dishes. Roast suckling pig cooked on a spit in a wood oven is a signature dish. Despite being typical throughout Central Italy the origins of this way of cooking suckling pig are Umbrian. 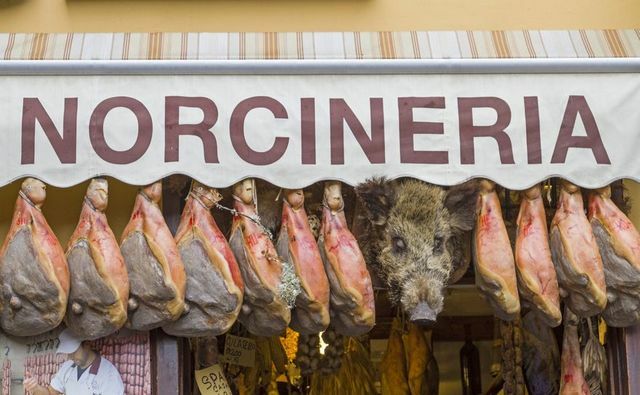 Apart from cooked pork dishes, Umbria is famous for its sausages, hams and other cured meats. Home to the best of these is the small ancient town of Norcia. Norcia has become so famous for its art of pork butchery and preparation of cured meats, that butchers across Italy now use the term ‘norcino’ to indicate all kinds of meat preserved in the same way and the name ‘norcineria’ is used to describe butchers that specialize in the preparation, curing and selling of pork products. When it comes to pasta in Umbria, Umbrian cooks traditionally make fresh pasta from nothing more than flour and water. The women pride themselves on being able to produce tender, springy pasta without eggs,. To do this they use a vigorous full-body kneading motion they call ‘a culu mossu’, meaning with a moving behind! The most typical Umbrian pasta is ‘strangozzi’. Strangozzi is a long pasta similar to tagliolini but made without eggs and thicker. This pasta actually has a number of different names depending on the part of the region it is made. You can find it called ‘stringozzi’, ‘strengozzi’ or ‘strongozzi’ and, sometimes strozzapreti or strangolapreti. However these last two names, which mean priest strangler, are also used for a different type of short pasta in other regions. Other long Umbrian pasta includes ciriole or cariole, a sort of fettuccine from Terni. The name of this pasta is believed by some to come from the Latin ‘cereus’ (waxy) because of its white color. Others think it’s because of the similarity of the shape to small eels with the same name! Umbricini or umbricelli is thick hand-drawn spaghetti, which owes its name to its resemblance to earthworms and strascinati or penchi is a rough lasagnette normally sautéed in a pan. 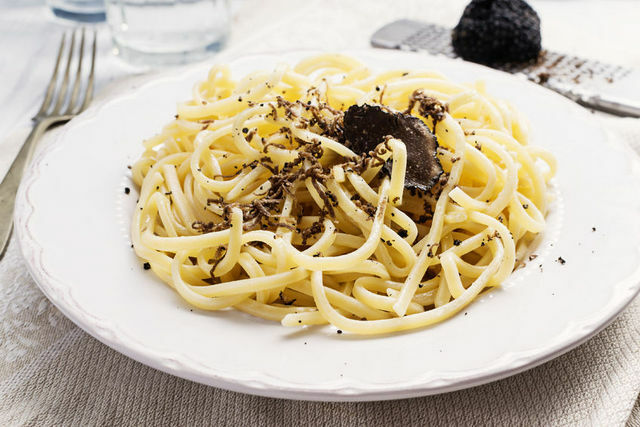 Strangozzi and other long Umbrian pasta are often served with black truffles, or a spicy tomato sauce called ‘alla spoletina’, from the town of Spoleto. Another long pasta dish worth mentioning is umbricelli in ‘salsa di Trasimeno’; a fish based sauce made from lake perch filets, shallots, garlic and peperoncino. 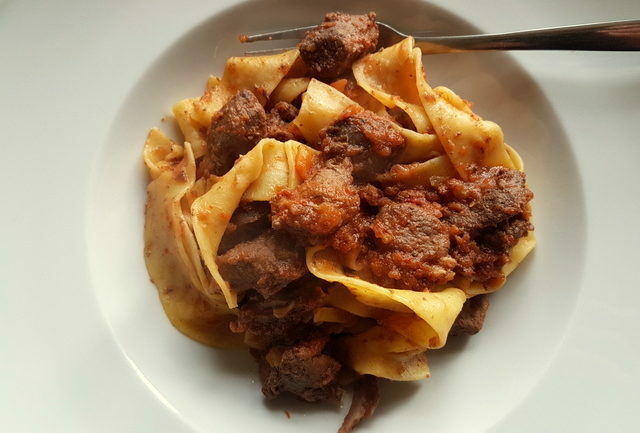 Traditional game pasta dishes include pappardelle ‘alla lepre’ (with wild hare), seasoned with bacon and cloves, or tomato based sauces made with duck, rabbit or wild boar. 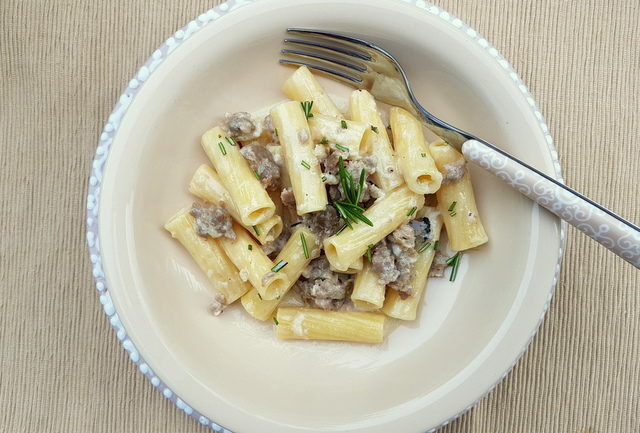 Pasta alla norcina is another well-known Umbrian pasta recipe made with sausages from Norcia. As in neighbouring Tuscany, pappardelle are made with egg in Umbria. The Umbrians also make other types of egg pasta. Frascarelli are tiny nuggets of semolina, water and egg which they usually cook in a tomato sauce and quadrucci are squares of egg pasta traditionally served in broth or soup. As you can imagine, there are many delish pasta recipes from Umbria to be tried. 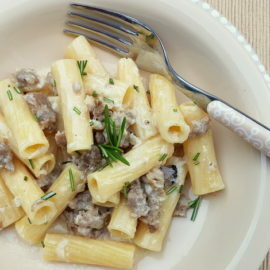 The first one I have posted is for pasta alla Norcina, a recipe from Norcia made with sausage meat, truffles and cream. It’s as delicious as it sounds and well worth trying. I’ll be adding more Umbrian recipes as I continue my journey through the wonderful world of Italian pasta, so come back soon to see what’s new!